Yourbarfactory is an ever-growing and dynamic company, with an average increase in sales of approx. 35% of sales, we are always looking for new talents. In order to enable all our employees to thrive in their jobs and to develop their skills and talents, we place work happiness at the heart of our concerns. We need you and your ideas to accomplish our mission and achieve our goals : customer satisfaction, employee well-being and continious improvement. then you are the perfect candidate! Join a dynamic company and boost your career today! Yourbarfactory is like a family. 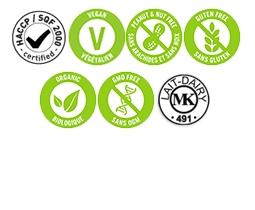 Your main mission will be to put cereal bars in boxes, to check products conformity (weight, image, etc) and to follow quality standards. Your main mission will be to put bars in boxes and put boxes in cases. Your main mission will be to clean the various equipement according to cleaning plans (moop, rags, cleaning products …) and to make sure to respect cleaning procedures. Send us your details !